Enjoy the health benefits of Lakewood Organic Tomato Super Juice as you experience the rich, tangy taste of organic tomatoes. 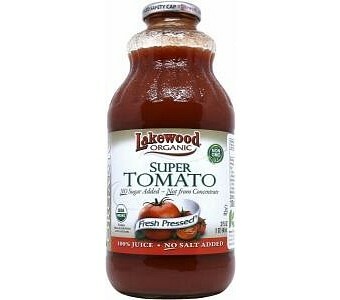 The Lakewood Organic Tomato Super Juice is unsweetened, has no pesticides or herbicides, and contains no additives. A marvellous tonic for the digestive system and a boost for skin, eyes, blood pressure and the immune system, this is a health juice suitable for the whole family.